As March quickly comes to a close, we want to take the opportunity to shine a light on the incredible outreach team we were able to host this month. We were pleased to welcome another team organized by our partner ministry, Oceans. The team was composed of individuals from all over the US. Some of the team members knew each other prior to coming on the trip, while others had never met before. Additionally, a few people had been to Beautiful Gate in the past, while several were coming for the first time. You would have never known that to be true, however, as the synergy between everyone on the team was so open, positive, fun, and full of love. While at Beautiful Gate, the Oceans team engaged in all the usual ways our outreach teams tend to, but they did so with their own unique brands of love, compassion, energy, and perseverance. Our care staff was blessed to have eager helpers with the day-to-day chores in the baby houses. The children were ecstatic to have another group of willing and energetic people to play with. The maintenance team was encouraged as team members came alongside them to finish the last phase of our ongoing bathroom renovation project (you know they were joyfully serving the Lord when they installed toilets with huge smiles on their faces). And the whole campus was bolstered spiritually as the team led us in Word and song during our Wednesday chapel session. Above and beyond all of the seemingly “ordinary” ways the Oceans team served our Beautiful Gate community, one particular situation stands out. 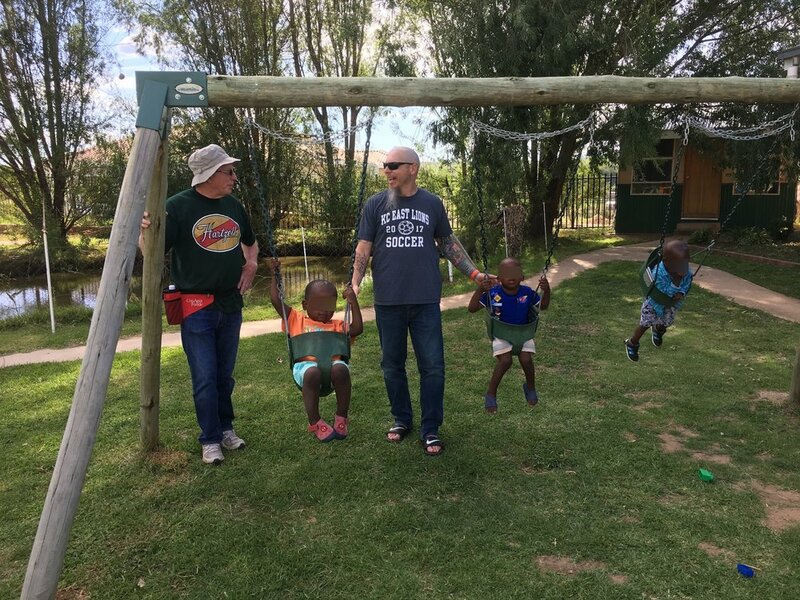 While hosting the team, we were also privileged to have a past adoptive father from the Netherlands serving with us at the same time. During his time here he was able to interact with many of the team members, specifically those working on the bathroom project. Day after day he witnessed the light of Christ in these strangers he had only just met, and not long after his roving heart found the truth and the love it had been longing for for years. Kneeling on a dirty bathroom floor, installing a toilet, this man gave his life to the Lord. Needless to say, everyone was overjoyed and we celebrated with him over his new life in Christ. The Oceans team reminded us again of how powerfully God works in and through His beloved children, if only we are humble and willing to be used. We are so grateful for the incredible ways each team member manifested the Kingdom of Heaven in their words, actions, and interactions. We are also excited about the many seeds that were planted during this trip, and we can’t wait to see what God does in the future. Thank you, Oceans Team, for listening to God’s call and sharing His love with us in fantastic ways.